The Sims 3 allows Sims to purchase and use as many vehicles as they want. They are able to place them in a garage, or in their personal inventory, and use when needed. The base game came with a good assortment of vehicles, but The Sims 3: Fast Lane Stuff Pack was really all about cars! With the addition of the stuff pack, new themes were introduced including: Classic Luxury, Intrigue, Racing, and Rockabilly. The Fast Lane addition also gave Sims the ability to have the “Vehicle Enthusiast” trait, especially great for Sims that love cars! Another new addition with that package was the ability for Sims to form relationships with their cars. The more they drive them, the higher the relationship. Eventually, Sims can even give their vehicles a name! 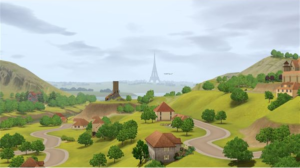 Sims that have the Eco-Friendly trait prefer riding bikes instead of Sims 3 cars. The only bike that is available with the base game is The Nostalgia-Cycle. However, you can purchase and download more from The Sims 3 Online Store. Ones available for adults include the Old Skool Lowrider, Smooth Cruise, and The 390. Children can’t drive cars, but they can ride bikes! The base game of The Sims 3 only includes the Bi-Trike For Kids! Their Online Store also offers the Old Skool Lowrider, Smooth Cruise, and The 390. The Sims 3 cars are not available for Sims to drive while on vacation in World Adventures. So, Sims purchased either bikes, or The Kenspa scooter, available when visiting the France and Egypt destinations. The Sims 3: Ambitions included the motorcycle called The Beast for Sims to ride. The Sims 3: Fast Lane Stuff included the Scoot Mobile scooter, and The Jamboree motorcycle for Sims to ride. 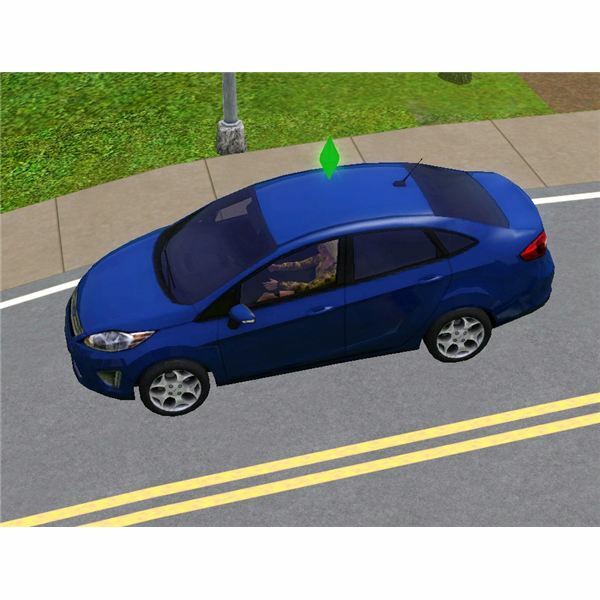 The Sims 3 cars are perhaps the most used vehicle by Sims. There are more cars than any other type of vehicle available. The base game includes the Sloppy Jalopy, Big Lemon, Wornado Triage, Yomoshoto Evasion, VFN Kompensator, Bwan Speedster YL, and the Margaret Vaguester. The Sims 3: Fast Lane Stuff pack added the Rock Town 3000, The Fitzgerald, Anachronous Automobile, La Matea, Classic Convertible, Summertime Souped-Up Ride, Requiescence, The Empire Eidolon, and The Velocity. The Sims 3 cars available from their online store include the Retro Ride, Renault Twizy, Toyota Prius, Ford Fiesta, Seaside Ride, Vorn Stallion, and the Montalcino Fandango SE. These are generally free downloads from promotions, available only from their store. Trucks, SUVs, and vans are not very plentiful in The Sims 3. There are some available though, and more may be added either in expansion and stuff packages, or through the online store. The base game includes the Vorn P328 truck, the Tofunda Wagon SUV, and the 4-Everything Van. The Sims 3: Fast Lane Stuff pack added the Heartbreak Hot Rod truck. So far there are two vehicles that you can get through your Sim’s career track. The Police Cruiser is a reward for Sims that reach level 5 in the Law Enforcement career. The Woo Woo 4000 is a reward for Sims that reach level 10 in the Firefighter career track.